Volunteers are needed to staff our booth at this event. he Kozyak Minority Mentoring Picnic is in its 10th year. 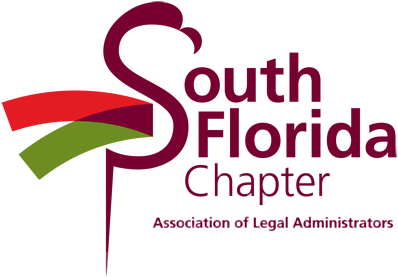 The picnic has grown exponentially each year and is well attended by many judges, established lawyers and law students from every school in Florida. The picnic is sponsored by many businesses, multiple voluntary bar associations, a bank and numerous law firms. Many sponsors rent tents where it is easy for students to meet lawyers, judges and potential employees. We have a “Leaders and Legends” tent where some of the very best lawyers in the country have shared their experiences. For example, former Attorney General Janet Reno, ABA President Stephen Zack and Florida Court Supreme Justice Peggy Quince and Barbara Pariente have led discussions. Please check out the photos, videos and articles to get a better feel for the picnic. It is an unusual, fantastic and fun networking event. The picnic is a family friendly event. We have an entire section dedicated to children with rock climbing walls, ring toss, games, face painting, and much more. We also have dominoes tournament, a volleyball tournament and last year added a dunk tank. There is an extensive assortment of food, including Cuban paella and arroz con pollo, roasted pigs cooked at the picnic by Ray Abadin, former Cuban American Bar President, and his friends. We have barbeque ribs, Jamaican jerk chicken, Haitian curry goat, burgers, dogs, sausages, and lamb with pita. We have beer stand, an ice cream booth, and last year added a big chili station. We guarantee you that you will not leave the picnic hungry. On the stage we have a DJ spinning tunes and introducing lawyers and judges. The picnic is held at Amelia Earhart Park located in Miami at 401 East 65 Street, Hialeah, FL 33013. The 10th Annual Minority Mentoring Picnic will be held Saturday, November 9, 2013 starting at noon. Although the picnic is free, there is a small $10 fee for parking and we welcome donations and sponsorships to offset the costs. Click here for a park map and parking information. Every student, lawyer and judge who attends the picnic will have an opportunity to get a mentor or mentee. We hand out “Need Mentor” and “Need Mentee” badges and help make introductions.